Sleigh rides and wagon rides offer old-fashioned fun in an intimate setting. Sleigh rides are a great way to arrive in style at your winter wedding, make an engagement or birthday special, have an unforgettable anniversary, or simply have some family fun. 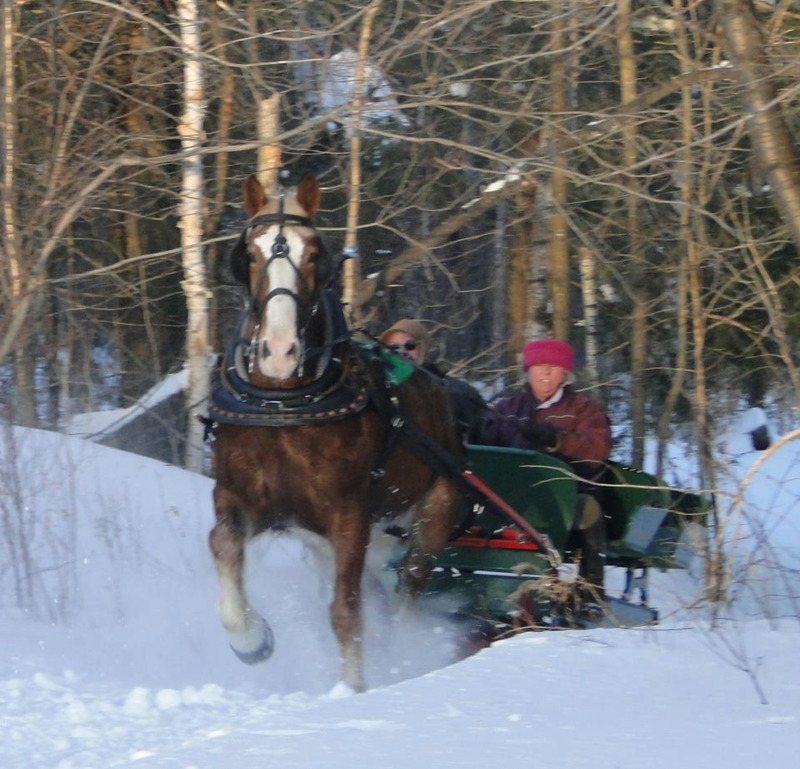 Deepwood Farm sleigh rides at The Bethel Inn are booked every ½ hour starting at 5:00 pm with the last ride leaving at 7:30 pm. Check in at the front desk of the Bethel Inn for tickets. • Children under age 3 are free and must be accompanied by a paying adult. * Tickets will be collected by the sleigh attendant before entering the sleigh. The sleigh holds up to 8 passengers and there may be more than one party riding at any given time, so be ready to spend some quality time with new acquaintances or old friends! Deepwood Farm sleigh rides at the farm are available mid-week or for special occasions by appointment only. Rates vary, please call to inquire on availability and pricing at 207-824-2595. Our wagon holds parties of up to 10 people, but we also cater to those couples wishing to ride privately. We ride for an hour winding through the woods and down country lanes. Please call to inquire on the cost for this delightful old time wagon ride. Contact us to find out how to set up a wedding party wagon ride for an experience you can treasure for a lifetime! Looking for a special birthday gift, anniversary gift or something to do with your out of town visitors this summer? Give us a call and we will make arrangements to fulfill your request.